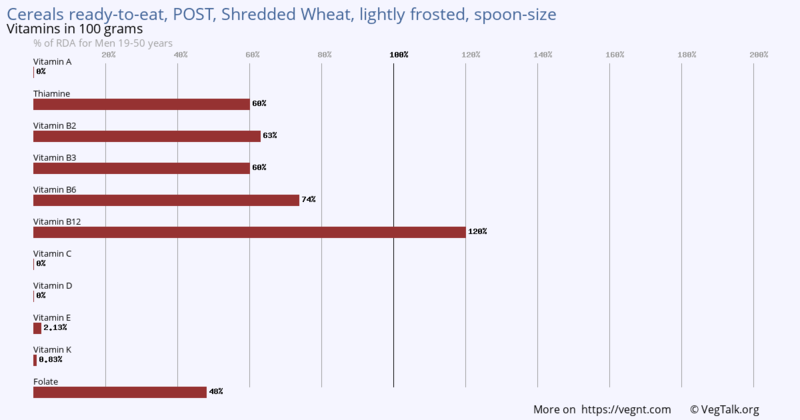 Cereals ready-to-eat, POST, Shredded Wheat, lightly frosted, spoon-size. 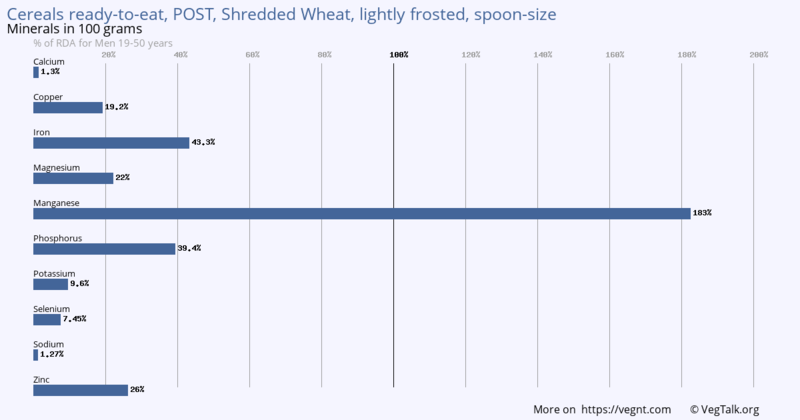 100 grams of Cereals ready-to-eat, POST, Shredded Wheat, lightly frosted, spoon-size has outstanding amounts of Vitamin B12. It is an excellent source of Thiamine, Vitamin B2, Vitamin B3, Vitamin B6 and Folate. 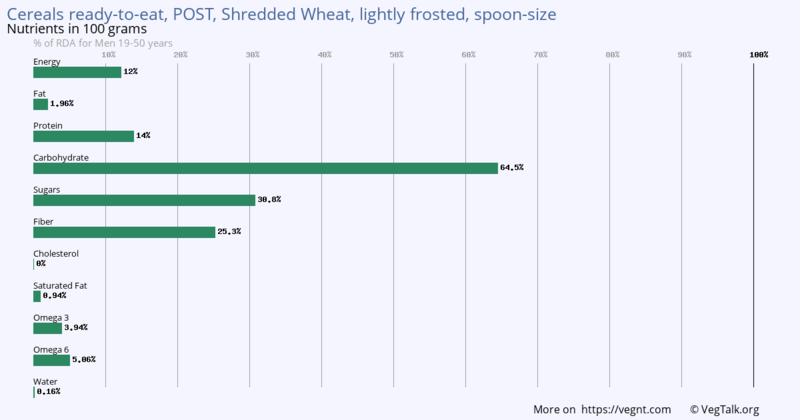 While 100 grams of product has trace amounts of Vitamin E and Vitamin K, it has no Vitamin A, Vitamin C and Vitamin D.
100 grams of Cereals ready-to-eat, POST, Shredded Wheat, lightly frosted, spoon-size has outstanding amounts of Manganese. It is an excellent source of Iron, Magnesium, Phosphorus and Zinc. It also has a good amount of Copper and Selenium. This meal has some Potassium. The product has trace amounts of Calcium and Sodium. 100 grams of Cereals ready-to-eat, POST, Shredded Wheat, lightly frosted, spoon-size is an excellent source of Carbohydrate, Sugars and Fiber. It has a good amount of Protein. It also has some Omega 3 and Omega 6. The product has trace amounts of Fat and Saturated Fat.